We went to Brussels for the Bank Holiday weekend (post to follow) and, on our return, resolved to eat healthily to rid our bodies of all the Belgian beer, mussels and chocolate we ate while we were away. 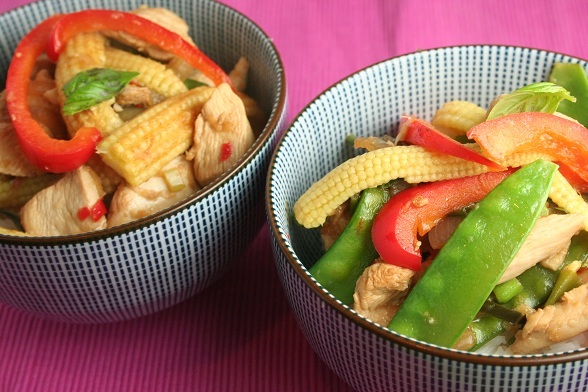 Some kind of stir fried chicken is what we usually opt for when we want something that is light, full of vegetables but still filling. Not the most original choice but it works for us. We vary the sauce ingredients depending on whether we’re in the mood for something Chinese or Thai, this one had a Thai tilt to it, close to this recipe.